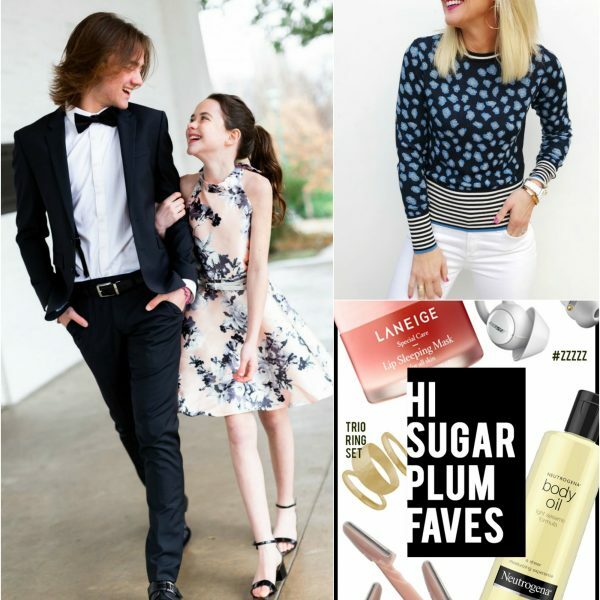 Top Ten | October | hi Sugarplum! Happy Tuesday! Have you noticed the trend of early Christmas decorating going on across blogland this week? I’m normally an after-Thanksgiving girl, but I’m feeling so excited for the season, I’m tempted to start decorating early, too!? Mr. SP and I ditched work (and the kids!) for an afternoon, and spent it at the State Fair of Texas. We stuffed our faces with everything fried, rode the craziest rides, and laughed until it hurt. I tend to plow through life on auto-pilot, so it’s essential for us to pause and find that friendship that drew us together in the first place! Make room in your closets, because the Gibson x Glam Holiday Collection launches next Monday!! I can hardly wait to show you my signature ‘Cassie’ top…perfect for all your holiday parties! This post shared the photoshoot experience of shooting the collection for Nordstrom. I may be anxious for Christmas decor, but we did add touches of Fall around the house! 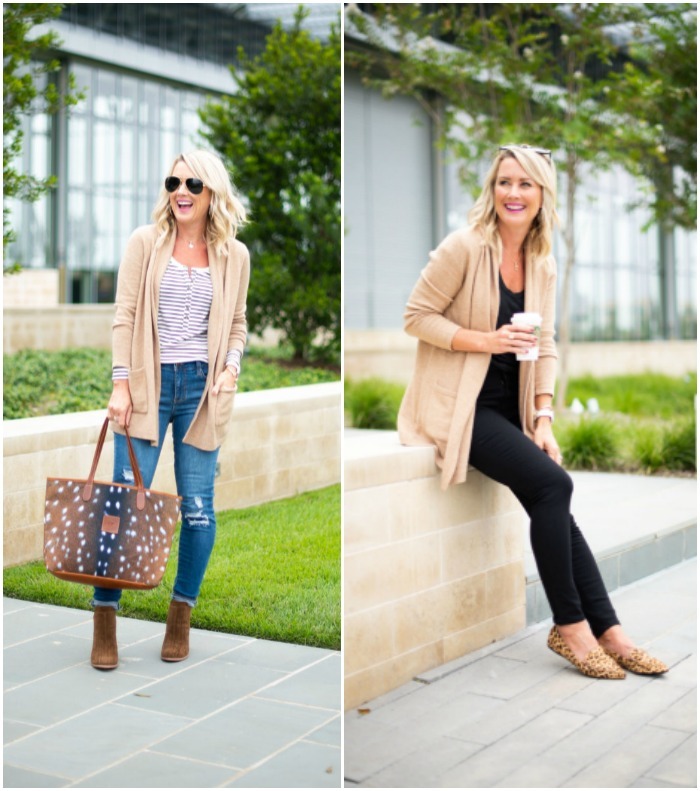 We’re in full-blown Fall now, so I shared 20 Fall Outfit Ideas to inspire you this new season! 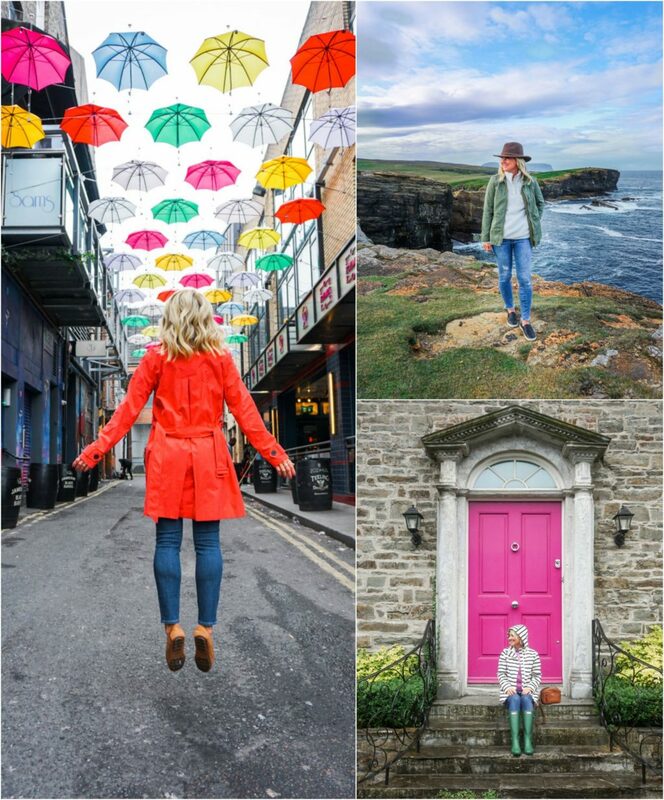 We wrapped up our recaps of the amazing British Isles cruise with Princess, including Ireland, Scotland, and the charming coastal villages. Where are you headed next? Camel & Black…so simple, yet so chic! Sharing this classic color combo two ways, along with Kendra Scott’s new Charms Collection! 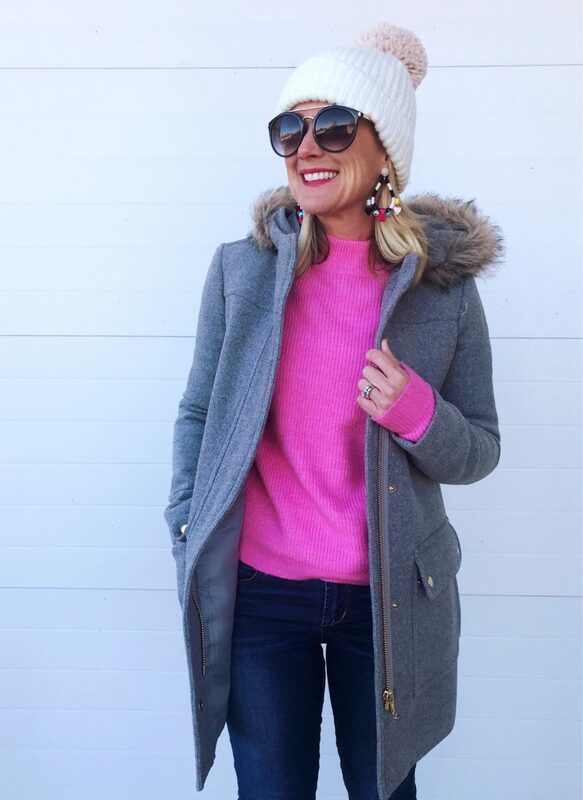 I live in layers…not only because of the temperamental Texas weather, but because they make an outfit so darn cute!! 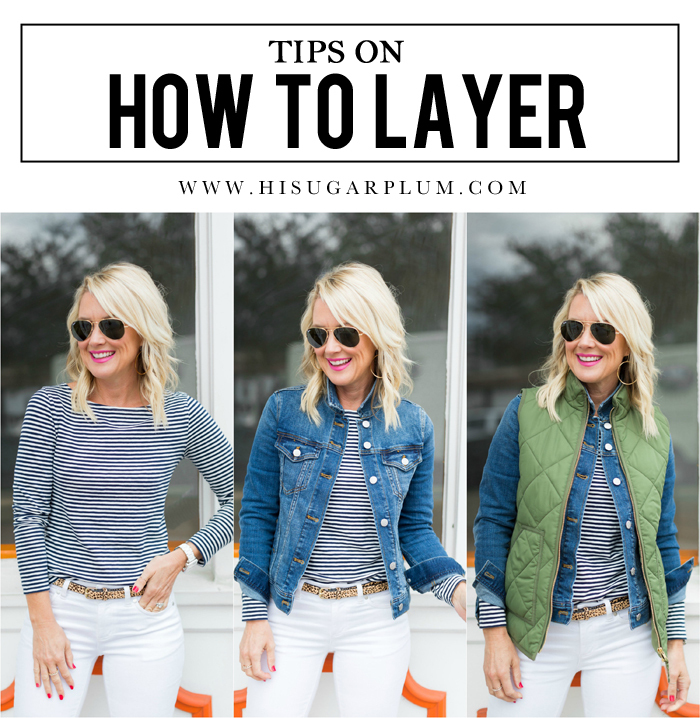 But I definitely follow a few guidelines to keep from looking like the Michelin Man…and I shared all my tips for layering in this post. I love distressed jeans for the contrast and laidback vibe they add to outfits. 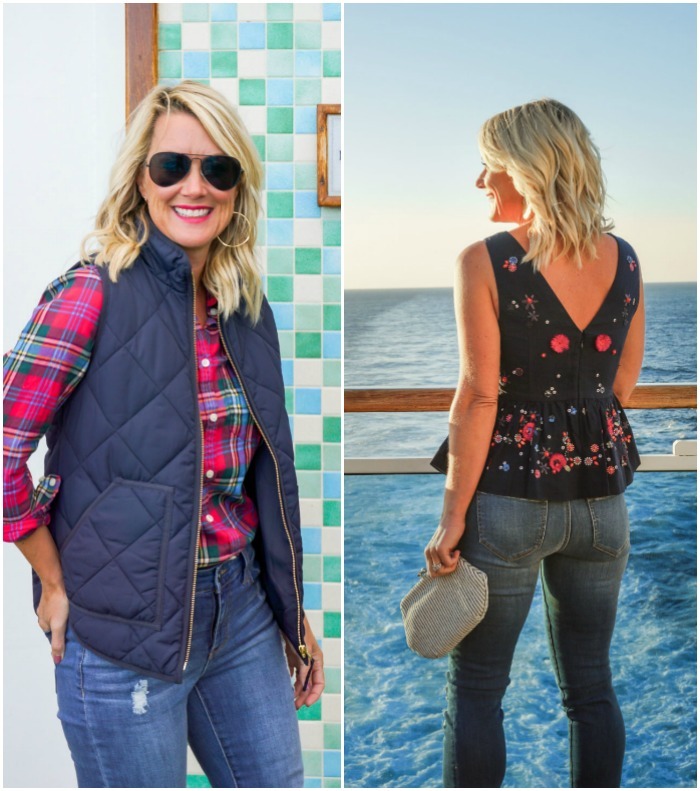 I found a new brand I’m loving, and styled their great-fitting distressed jeans for Day and Night. I’m thrilled y’all love my Amazon posts!! It’s so fun to flush out the great pieces and share them with you. This post shared 10 great Fall outfits, all found on Amazon!! My friend Erin of Living in Yellow launched a brand-new Cozy Collection at Nordstrom last month, and I want to live in everything!! I love that they’re cozy, but still so chic! 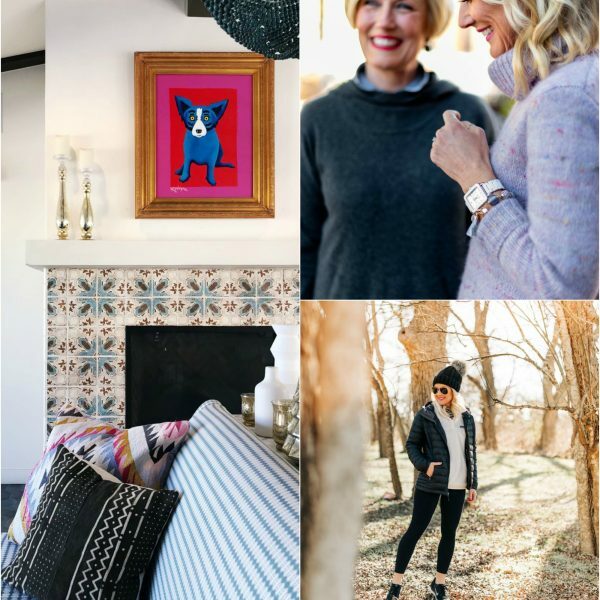 Styling three of my faves for more than just lounging in this Cozy Meets Chic post. 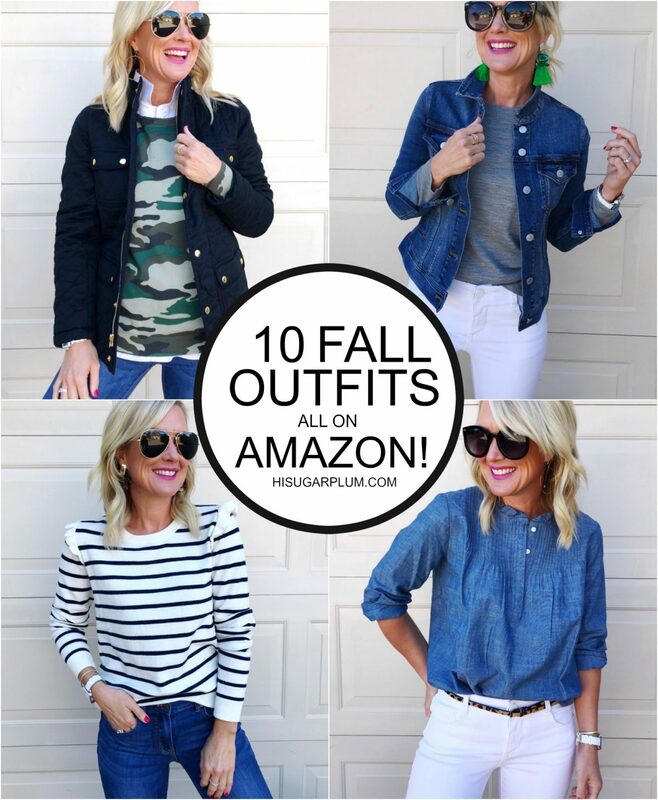 Speaking of Amazon…my October Fashion Finds were the most popular yet! 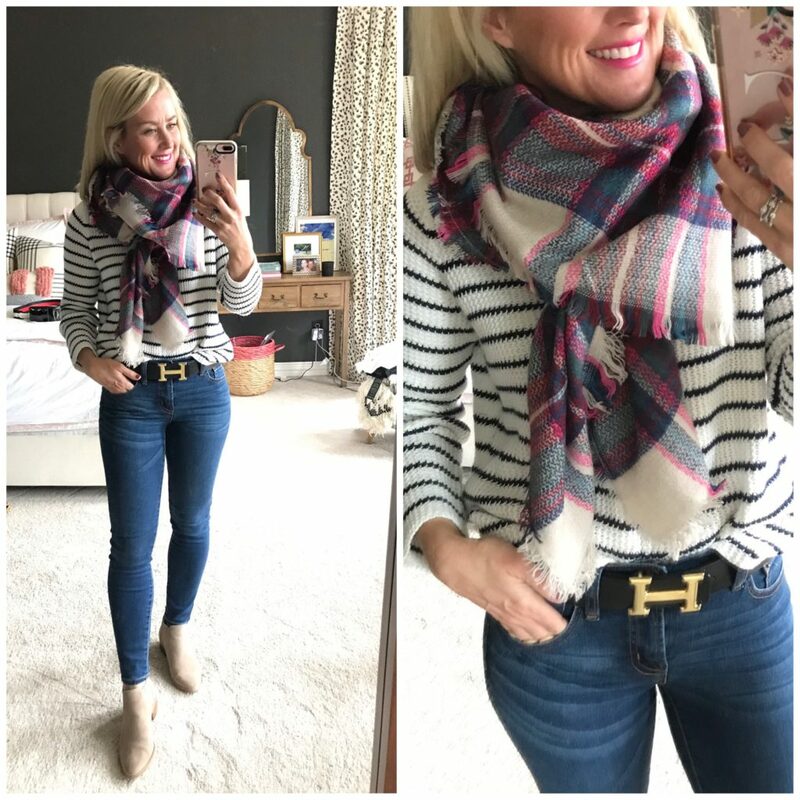 You went crazy for this lookalike belt and $12 scarf! 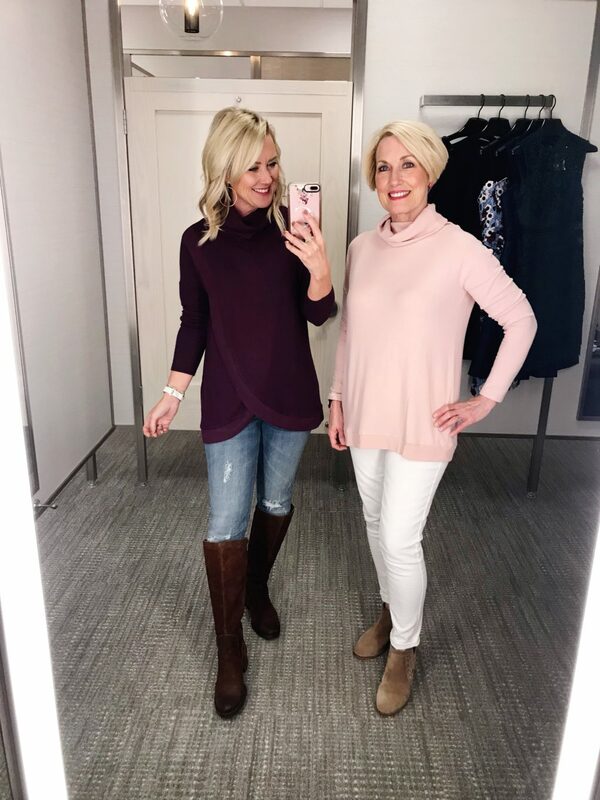 We also had another round of Sugarplum Style, and everyone’s favorite, Dressing Room Diaries, featuring tons of new finds, recent outfits, and Mama Sugarplum! I also threw in a Faves Under $50, featuring fun new things I’ve got my eye on. As for the most popular styles, these are the Top Ten items y’all shopped last month. Did any of them make your favorites list? We don’t have any travel plans this month (yet! ), but November is shaping up to be the busiest all year! 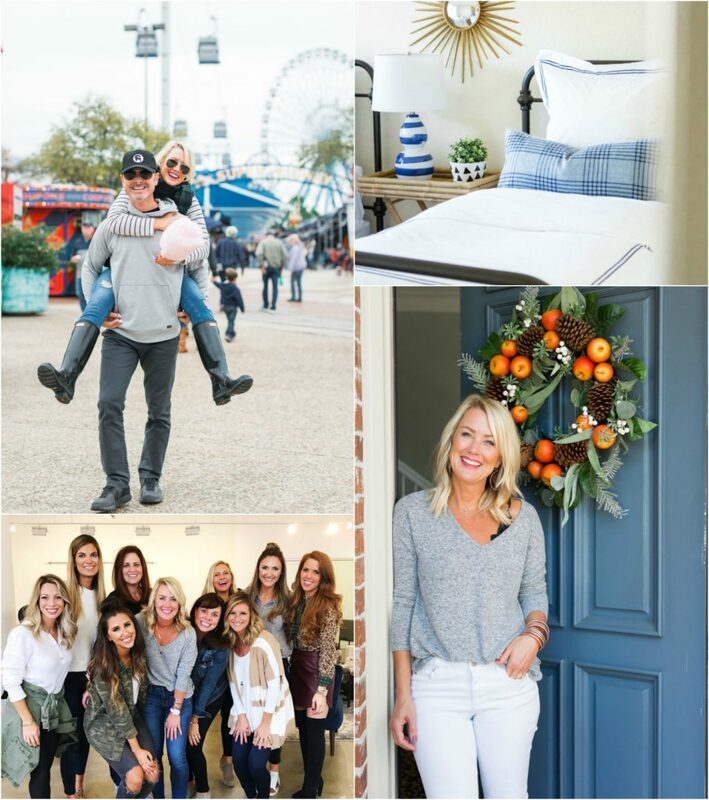 It’s chock-full of holiday decor and style, along with style tips, recipes, and more! Thank you so much for stopping by when you do…your support and comments mean the world to me! Yes to a Christmas décor visit at your beautiful home!! 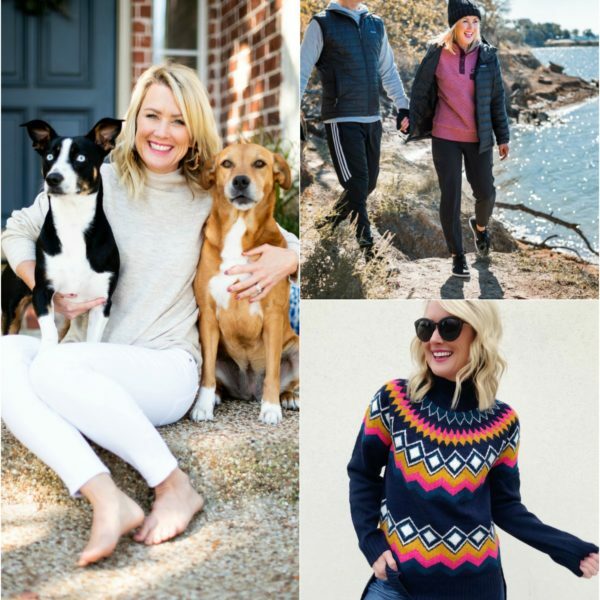 That’s one of the first things that attracted me to your blog–your bigwelcoming smile on your cozy Christmasy front porch with your darling furry family!